"Great team to work with to bring attention to our products!" The customer service, hands down has been the greatest. Whenever we have an issue, our rep is quick to jump on any issues. Sometimes they'll just go in and fix the problem for us in the code, instead of us having to do it ourselves. I wish there was a little more control over the videos and how they are displayed within our listings. It's a little bit hard to manage at the time being. We're getting more detailed product listings on our retailer sites by using Sellpoints. We have received more hits and interaction than a standard listing alone. inMarket is a beacon media platform enabling brands to connect with consumers via mobile at the right time and right place. * We monitor all Sellpoints reviews to prevent fraudulent reviews and keep review quality high. We do not post reviews by company employees or direct competitors. Validated reviews require the user to submit a screenshot of the product containing their user ID, in order to verify a user is an actual user of the product. Hi there! 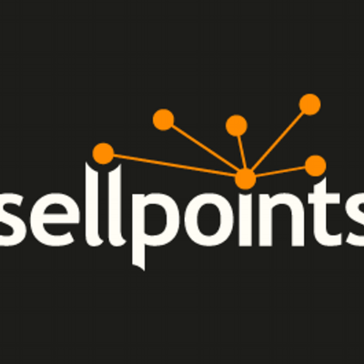 Are you looking to implement a solution like Sellpoints?